With almost 20 years of experience in the financial services industry, Robert brings skilled focus in portfolio construction and financial planning for a variety of clients and their families, small and medium-sized businesses and not-for-profit organizations. Prior experience includes extensive work in comprehensive financial planning, trading energy securities for a major international oil company and working in economic development with the U.S. Peace Corps in Central America. Robert, a fluent Spanish speaker, has a Bachelor of Arts Degree in Economics from Dartmouth College and an MBA from the Darden Graduate School of Business Administration at the University of Virginia. He is a CERTIFIED FINANCIAL PLANNING® Practitioner, an ACCREDITED INVESTMENT FIDUCIARY ANALYST® and has held FINRA Series 7, 63 and 65 licenses as well as an insurance and mortgage broker’s license with the State of Florida. Robert is a frequent contributor to Investopedia.com, Accountantsworld.com and Yahoo! Finance among other publications and has been interviewed regarding personal financial planning topics for Telemundo NBC. His community involvement includes: Advisory Board Member with Teach for America – Miami Dade, Board Member with the Miami Springs Education Advisory Board, Board Member of the Dade County Bar Association’s Citizen Advisory Board, Scholarship Committee Chairperson for the 100 Black Men of South Florida, Inc., President of the Darden Club of South Florida, member – Estate Planning Council of Miami. Helping people to live more balanced and healthy lives is Kristin’s passion. First introduced to yoga at age 8 by her mother. Kristin began to infuse yoga into her life through her teenage and college years. In 2003, Kristin completed her 200-hour multidisciplinary yoga teacher training in Wilmington, North Carolina and has since studied with many renowned teachers. Kristin believes that yoga serves to liberate the soul, and has the power to heal and free our internal world, and ultimately the world at large. Using our breath, body, and mental awareness in the yoga practice not only helps us to gain greater physical health, but also allows us to begin to befriend ourselves from the inside out; gaining greater self acceptance, cultivation of personal love, and peace. Kristin’s asana classes are strong, yet nurturing; with emphasis on finding spiritual growth and peace within physical challenge. It is her honor and privilege to serve. 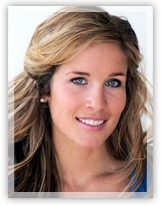 Kristin holds a Master’s degree in Mental Health Counseling and a Bachelor’s degree in psychology. Her current life and career development is involves yoking the healing powers of yoga and psychology for more holistic therapy. This holistic counseling method is a combination of life coaching, mental health counseling techniques, meditation, and asana practice. Kristin has experience teaching yoga and counseling to people of all levels, ages, and those with a variety of mental, physical, and emotional difficulties. She allows empathy, unconditional positive regard, and genuiness to lead the way in her professional and personal life. For more information: www.counselinggroupmiami.com. Dr. Nicole Ennis Whitehead is an expert clinician specializing in psycho-oncology and stress management. 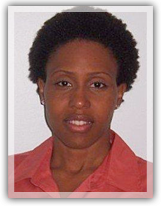 She is a licensed Clinical Psychologist with over 12 years of experience in the psychosocial aspects of disease processes. 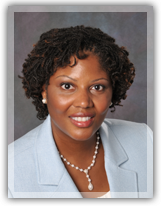 Dr. Whitehead has published her work and presented at numerous national and international conferences. She is currently the manager for the Biopsychosocial Oncology (BPSO) shared resource at the Sylvester Comprehensive Cancer Center at the University Of Miami Miller School Of Medicine which facilitates psychological and behavioral research on quality of life, mood, stress, personality, coping, social support, spirituality and other psychological and social processes. 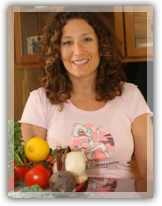 Ellen Kula, otherwise known as the “Kitchen Commando” partners with health professionals, schools, organizations, companies and like-minded individuals who share her passion for better health and disease prevention. She is recognized as a missionary for “whole”, healthy eating among her friends, family and peers. She has been a featured guest on Join Us at the Table and the Fox affiliate in Miami, Channel 7’s Style File. Ellen has presented to numerous local organizations, sports clubs and collaborated with pediatricians to address children’s health issues. She is affiliated with Hadassah, The Diabetes Research Institute and Juice Plus. While attending the University of Minnesota, Ellen had the privilege of working for Aveda Corporation, an environmentally responsible beauty company. A myriad of experiences led her on a 20-year path to a more holistic lifestyle, placing emphasis on whole food nutrition. 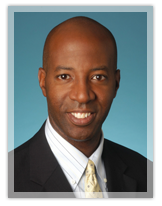 Dr. Tihesha Wilson is Board Certified in General Surgery and a Fellow of the American College of Surgeons. She focuses on individualized, comprehensive and multidisciplinary care for the breast patient. She emphasizes excellent oncologic results and minimally invasive techniques for improved cosmetic outcomes. After obtaining her Medical degree from UMDNJ-Robert Wood Johnson Medical School in New Jersey, she completed General Surgery residency at St. Luke’s-Roosevelt Hospital Center, New York, New York. Prior to joining the staff at Mercy Hospital in Miami, Florida, Dr. Wilson traveled to India, China and Japan to study complementary medicine and endoscopic breast surgery techniques. She then completed advanced Surgery Fellowship training n Breast Surgical Oncology at Anne Arudel medical Center in Annapolis, Maryland, an accredited and nationally recognized comprehensive breast center. She has authorized several peer reviewed scientific papers and resented her research at national scientific meetings. Elizabeth Trattner specializes in women’s health, weight management, allergies, autoimmune diseases and environmental illnesses. Since 1991 she has been advancing the concepts of Integrative Medicine, combining her expertise in acupuncture and oriental medicine with nutritional counseling and women’s health. By drawing on the principles of Traditional Chinese Medicine, 17 years of training under Andrew Weil, MD and other natural modalities, she helps patients improve and take control of their health and maintain their optimal weight. Elizabeth's practice offers a variety of medical disciplines through a group of highly skilled professionals including Dr. Nancy Scheinman PhD in Psychology, who was the former head of Integrative Medicine at Miami Heart Institute, Dr. Karen Koffler M.D. a Fellow of Integrative Medicine, also trained by Andrew Weil M.D., and Nicole Pearl D.O., Psychiatrist. Elizabeth believes that women tend to be over treated in western medicine with little regard for the psycho-social and emotional environment in which they live. Elizabeth focuses her practice by engaging women in a less conventional path to better health. Women today face challenges vastly different from their mothers and grandmothers in terms of health and wellness. Yet it’s the history and wisdom of women and the traditions of Chinese medicine that coalesce to help heal today’s modern woman. Her approach to treating her patients is highly individualized and holistic. She starts with a lengthy initial appointment delving deep into the patient’s detailed health history and her physical and emotional circumstances. She carefully listens to and builds a strong relationship with her patients in order to develop a clear and detailed picture of their overall health and unique needs. From this, a comprehensive treatment plan is created that not only addresses the presenting medical complaint, but also accounts for the root causes of the condition. She administers acupuncture supplemented with a variety of other integrative modalities, such as nutritional counseling and herbs and supplements to effectively treat a wide range of conditions that stem from physical, emotional and spiritual imbalances. She strongly believes in empowering her patients to take an active role in their own health by counseling them in diet, exercise and other lifestyle changes. By doing so, patients achieve effective and lasting results. Having successfully balanced an active lifestyle, successful careers and motherhood, Elizabeth understands the challenges and stress that a busy schedule can bring. She believes that balance is the key to health, and uses this as a guiding principal in her approach to treating her patients. In the spring of 2008, Elizabeth was invited to participate in a prestigious medical rotation at the University of Arizona’s Center for Integrative Medicine founded by Dr. Weil. She is the only acupuncture physician in the country with this distinction. Early in her career while working with the former President of the Florida Academy of Cosmetic Surgery, Elizabeth pioneered healing protocols for pre and post plastic surgery to speed up healing times and reduce side effects. She is noted for effectively treating several well known athletes. She’s also has been featured in national publications such as Natural Health Magazine, Elle Magazine, and First Magazine for Women, The Beauty Prescription by Debra Luftman, M.D. and Eva Ritvo, M.D.and Diabetes on Your Own Terms, by Diabetes Educator of the year; Janis Roszler R.D.,CDE, LD/N as well as appearing on the Oprah Winfrey Show alongside her mentor, Dr. Andrew Weil. Elizabeth Trattner, A.P., L.Ac., Dipl. Ac.,NCCAOM, is a Florida State Licensed Acupuncturist and Nationally Board Certified in Acupuncture by the National Certification Commission for Acupuncture and Oriental Medicine (NCCAOM). She graduated as Salutatorian from the Southeast College of Oriental Medicine in Miami. She is a member of the Florida State Oriental Medicine Association (FSOMA) and holds a certificate from the Annemarie Colbin's Natural Gourmet Institute for Health & Culinary Arts in New York City. Elizabeth also holds a Bachelor of Arts degree with an emphasis on Women’s Studies from the Ohio State University. Elizabeth's continued training encompasses nutrition and facial rejuvenation from some of the top leaders in the industry. Karen Koffler, M.D. received her medical degree at the University of Miami. After her internship year in Chicago, she went to the University of Colorado to complete her residency in Internal Medicine. She began her career as an emergency room physician in a variety of settings including the VA Hospital, Kaiser Permanente and the Indian Health Service where she worked on several Indian reservations in North and South Dakota and in Arizona. She helped to develop the first Hospitalist program for Kaiser Permanente in Denver and went on to focus in Intensive Care Unit Medicine. Dr. Koffler has been utilized as a topic expert in numerous publications including books, magazines, newspaper, television and the internet and has published in peer-reviewed journals. Her areas of expertise include women’s health, preservation and cultivation of energy and vitality, gut function and detoxification and weight management, and brain health. In her personal life, she lives what she teaches. She is a wife and mother of two young children, and weaves her spiritual practice, exercise regimen and healthy diet throughout the many facets of her life. Her diversions are also passions and include a variety of water sports, immersion travel, learning languages, and reading.